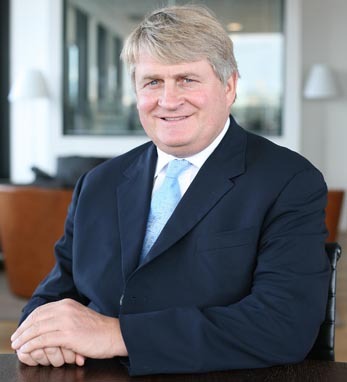 Denis O’Brien is the founder and chairman of Digicel, one of the largest cellular phone companies in the world, which specializes in creating mobile networks in emerging markets such as Haiti, Jamaica and Papua New Guinea. Chairman of the Clinton Global Initiative Haiti Action Network, O’Brien is a dedicated philanthropist . He has put over $16.5 million of his own wealth towards philanthropic projects, including the re-building of Port Au Prince’s iconic Iron Market, and his move to make cash transactions available for the poorest in the world via cell phones was, according to former U.S. President Bill Clinton, writing in TIME magazine, the number one idea changing the world for the poor last year. O’Brien also serves on the board of directors of Concern Worldwide, U.S.
Click here to read Irish America’s feature interview with O’Brien from the December/January 2013 Business 100 issue.